Home » Ohio » Visiting the Smucker Store and Cafe in Orrville Ohio ~ So much more than jelly and jam! Visiting the Smucker Store and Cafe in Orrville Ohio ~ So much more than jelly and jam! For Mother’s Day every year, my husband takes me on a trip in lieu of getting me a gift. This year, I chose to go to Ohio Amish Country. Our first stop in Amish Country was at the Smucker Store and Cafe in Orville, Ohio. No time to read this now? Click here to pin this post for later! Smucker’s was founded 115 years ago by Jerome Monroe Smucker. He started out by selling homemade apple butter from a horse-drawn wagon. Smuckers is family-owned to this day and is still based out of Orrville, Ohio. Smucker’s has branched out since their early beginnings and today they sell a wide variety of food products, including their signature jams and jellies. There are lots of Amish in the area. So be aware that you will most likely encounter a lot of Amish buggies on the road. In fact there is a hitching post for horses in the JM Smucker store and cafe parking lot, which is common for a lot of the businesses in the area. The JM Smuckers Company Store has so much more than jelly! The JM Smucker Store and Cafe is such a cute little place to shop. It has an old country store feel to it, which I just loved. The store is homey and inviting and the displays are just beautiful. The Smucker store in Orrville Ohio carries a great assortment of Smuckers products as well as products from the Smuckers family of brands – like Jif, Pillsbury, Hungry Jack, Folgers, and more! Located at the back of the store is beautiful window made with different color jelly jars. It’s just gorgeous as the light is streaming in! At the top of the picture, you can see just a bit of the pretty chandelier they have hanging from the ceiling. It is made entirely from jelly jars! In the display below the jelly jar window is every flavor of jam and jelly that the Smucker company makes, including some unusual flavors, organic varieties, and a more gourmet line. I had no idea that Smuckers offered so many different flavors of jams and jellies! The Smucker Store and Cafe in Orrville Ohio also has a wide assortment of kitchen accessories – ranging from kitchen decor to baking essentials. They even had several salt and pepper shakers, which I collect. I was excited to find an old-fashioned peanut butter stirrer (which mixes the oil back into natural peanut butter). I had been looking for one of those forever so I quickly added that to my basket. Near the front of the JM Smuckers company store is a gift basket station. You can buy ready made gift baskets or you can pick out the products of your choice for a custom gift basket. In addition to all the yummy food products and kitchen essentials, the Smuckers Store and Cafe carries a selection of Smuckers branded apparel. Be sure to check out the cute peanut butter and jelly socks! Rounding out their selection is a few gifts and toys for the kids. We spent a good hour browsing the shop and making our selections. If you are hungry, there is a cute little cafe just inside the door and to the right. The Smucker Cafe has a great assortment of sandwiches, which make it a nice choice for lunch. The JM Smucker store and cafe also has a bakery that features all sorts of yummy treats! The highlight of visiting the Smucker Store in Orrville Ohio for my kids was taking selfies with the life-size Pillsbury Doughboy. I have always been partial to the Pillsbury Doughboy myself, so I didn’t mind that they spent a few minutes taking pictures and posting them on Instagram for their friends. The store employees may have thought we were a little crazy though 🙂 Or then again, maybe they are used to it! Near the back of the store is a tasting station where you can try many of the yummy Smucker’s products before you buy them. I think the kids would have definitely spoiled their appetite if we had let them sample all of the goodies! Be sure not to miss the small museum in the back of the JM Smuckers company store. They have wall displays where you can learn more about the history of the company and how they have evolved over the years. It’s interesting reading if you have the time! The J M Smucker store and cafe is located at 333 Wadsworth Road (Route 57) in Orrville, Ohio. It is just a quarter mile north of Route 30. It is open Monday through Saturday from 9 am to 5:30 pm EST. Like the majority of other businesses in Ohio Amish country, the store is closed on Sundays. Plan on 30 minutes to an hour for your visit to the JM Smuckers company store. If you plan to eat lunch at the cafe, you might want to plan on a little extra time for your visit. For more information on visiting the Smucker Store in Orrville Ohio, visit the Smucker’s website. 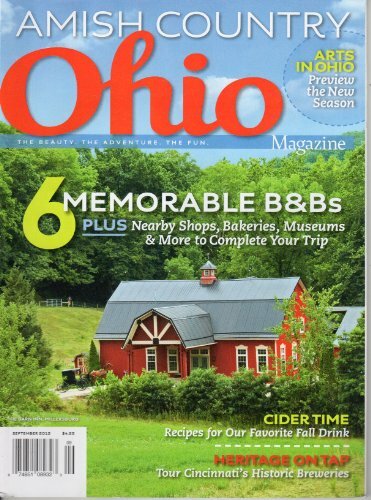 Planning a visit to Ohio Amish Country? Check out these great resources…. Have you ever visited the Smucker Store and Cafe in Orrville Ohio? If so, you will have to leave a comment below and tell us about your visit. Happy exploring! Hi Debbie, I would recommend checking their website or giving them a call.